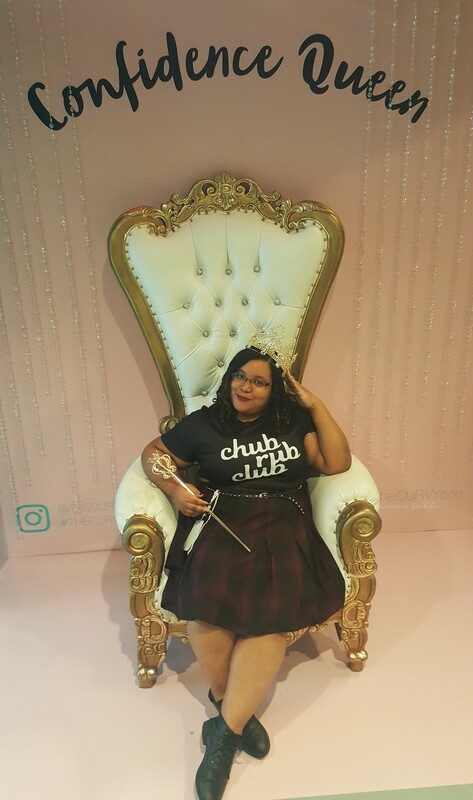 After two eventful weeks I’m finally back with my recap of this years CURVYcon. I’ll be very honest, I was very close to not making it at all this year due to finances. Yet I have clearly been blessed to have some supportive friends that decided to sponsor my ticket once again. Unlike last year I was unable to attend certain events due to work so I can’t speak of the Platinum Cocktail Party or the lunch but at least I can fill you in on the rest of the festivities that went on that weekend. The day started with a fitness session with Jessie Diaz of Curves with Moves along wit Beyonce’s background dancers from Coachella. While I didn’t arrive in time to witness the body love dancing I did get to follow it extensively via IG and got to see that my friend Brooke of Madame Finehouse had the time of her life. I did get to walk the show floor to do some shopping and mingling though. 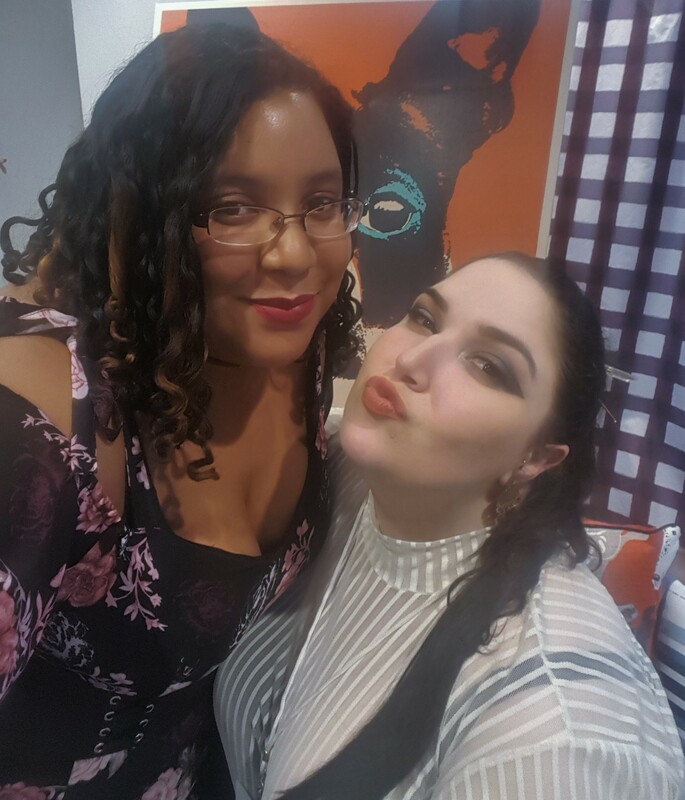 I got to finally got to check out Eloquii’s new fall line as well as got introduced to a few brands like Hanky Panky and Smash Shoes. After shopping until we dropped we headed up to the main stage for the fashion show. 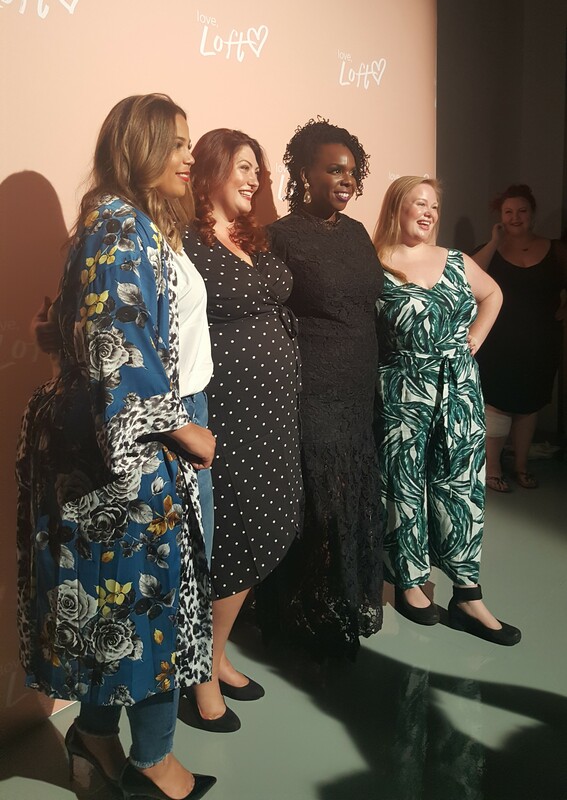 This year the fashion show was done by Loft and we got to see some items from their fall line modeled by CURVYcon attendees as well as influencers like Amber of Style Plus Curves and Sabrina. (You can check out the items featured in the show here). Got to spend the day with Jonquel of JonquelArt. The night ended with the Dia&Co Showcase and Panel with the Council of Fashion Designers of America, Inc. (CFDA). 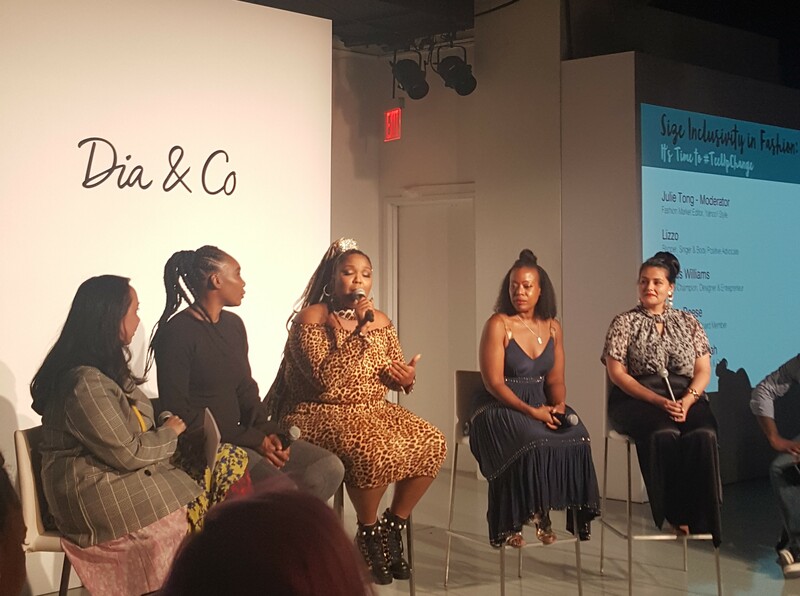 The panel consisted of Dia&Co CEO, Nadia Boujarwah, rapper and singer Lizzo, designer Tracey Reese and tennis champion, Venus Williams. They all spoke about the importance of size inclusivity in fashion and announced their collaborative #TeeUpChange campaign in which statement tees were designed by Lizzo, Marissa Retteruti, Tracy Reese, Christian Sirano and Venus Williams with body positive quotes to help fund size-inclusive design education programs at CFDA partner universities. I’m still trying to decide between Christian Sirano’s shirt and the one by Lizzo but you can check out the tees for yourself here. I will admit that I didn’t know who Lizzo was until this panel but she is amazing. As for what I wore, even though the weather was still riding the summer high with temps in the 90s, I decided to go for more fall-inspired looks for both days, complete with lace up booties! Had the humidity not been as high as it was I would have even thrown on my favorite leather jacket, but alas I had to go without otherwise I would have suffocated, haha. 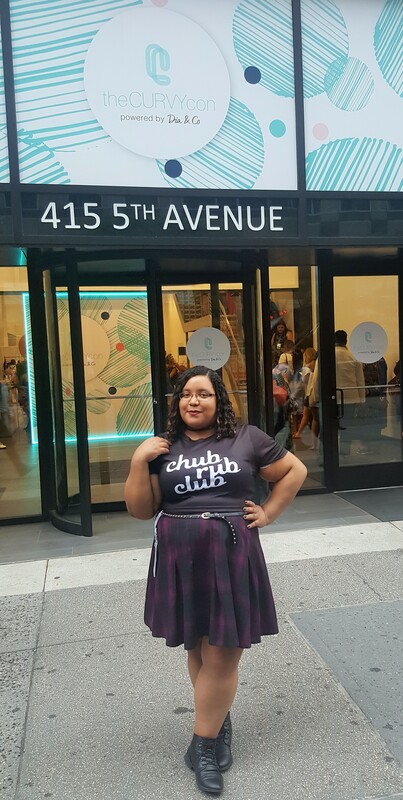 Anyway, for my first look of the weekend I wore this Torrid A-line pleated skirt with a statement crop top. The skirt has some school-girl charm with the ultra violet plaid yet paired with my spiked skinny belt it was “edged up” a bit. One young lady I met said that all my outfit was missing was some black pom poms for a full goth cheerleader vibe. I’ve never once had the word “cheerleader” ever used to describe me so I took this to be a great compliment. So this is my second year that I have gone through the Platinum experience and I am about to say something that may come off as controversial. The Platinum experience may not be the best, it may actually be the worst. Before anyone comes for me, let me explain. One of the “major perks” of having a Platinum badge is getting this huge swag bag along with some additional gifts from some of the sponsors in the lounge, which is great, but the lounge opens at at exactly 10 am and then you’re stuck with a bag that is so heavy you’re practically dragging it on floor for the rest of the day. As a result you have no choice but to grab a section in the main stage area and have all your friends put their bags together and stay in one place. As you can imagine I missed out in attending the panels I had totally intended to attend because of this. At least I still got a chance to hang with some of my girls, like model Faith. 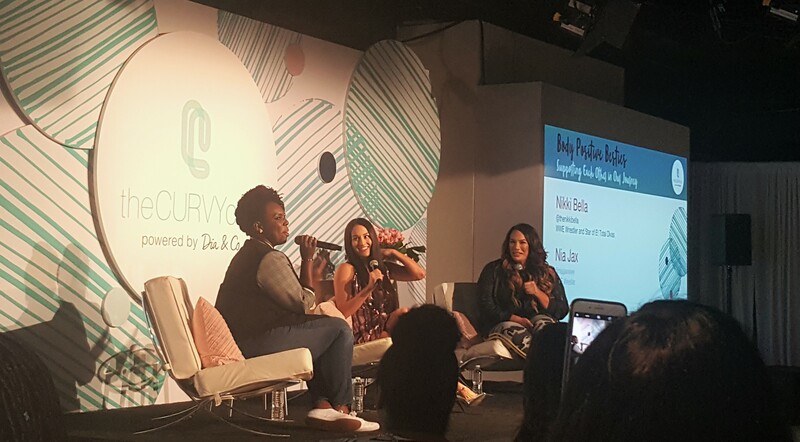 I must say that the highlight of the weekend definitely had to be the keynote with Gabourey Sidibe. I just loved how real she was in regards to how she got to where she is today. Seriously, her entire conversation with Cece and Chasity is totally relatable and quotable. I know that I’m not the only one who left feeling a bit more empowered than when they came in because of her. I say “a bit more” because just seeing so many gorgeous women showcasing their individual style while casually walking up and down Fifth Avenue during New York Fashion Week would be enough to make anyone feel empowered. As for me, I guess you could say that my style theme for the weekend was “ultra violet edgy glam.” Having gone for a more casual look the day before, I decided for something more feminine this time around though still comfortable in the footwear department, because let’s face it, commuter life is hard. 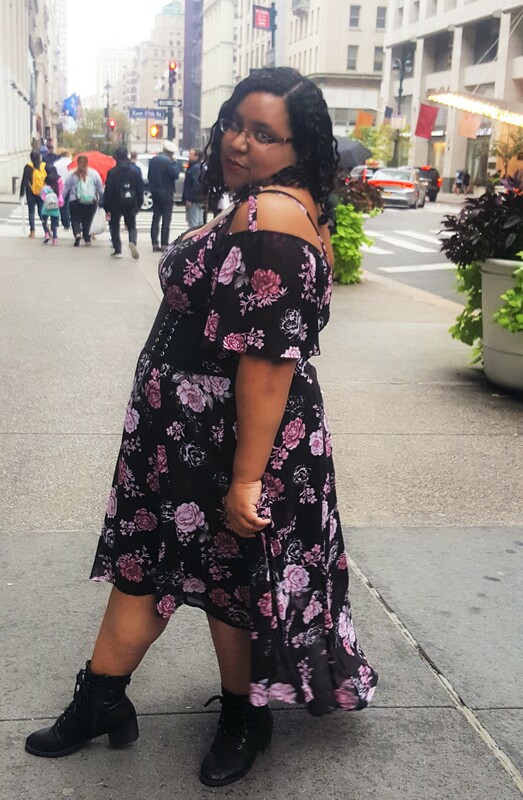 Anyway, I paired this Torrid floral chiffon hi-lo dress with heeled booties so that the back train wouldn’t drag too much as I walked (#petiteplusproblems). The addition of the corset belt was actually a last minute decision I made as I walked out the door that morning and I’m glad I included it since it really pulled the look together. 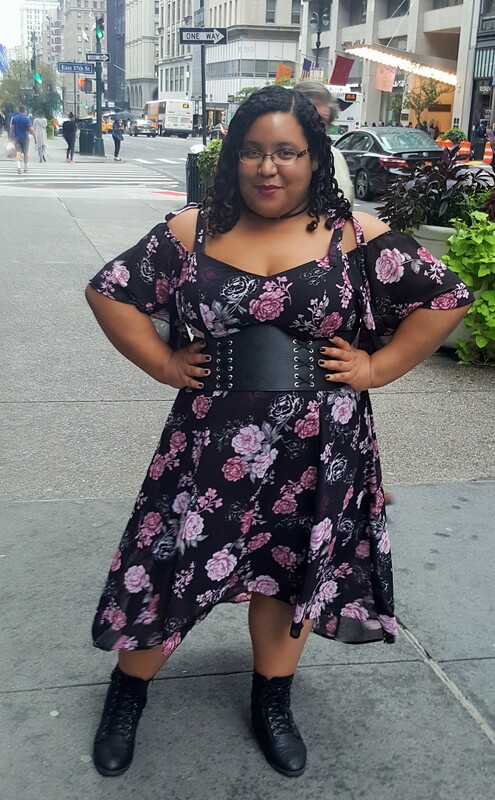 I got a lot of compliments for this look even by some Torrid representatives that were attending the event who immediately recognized my dress as one of theirs! 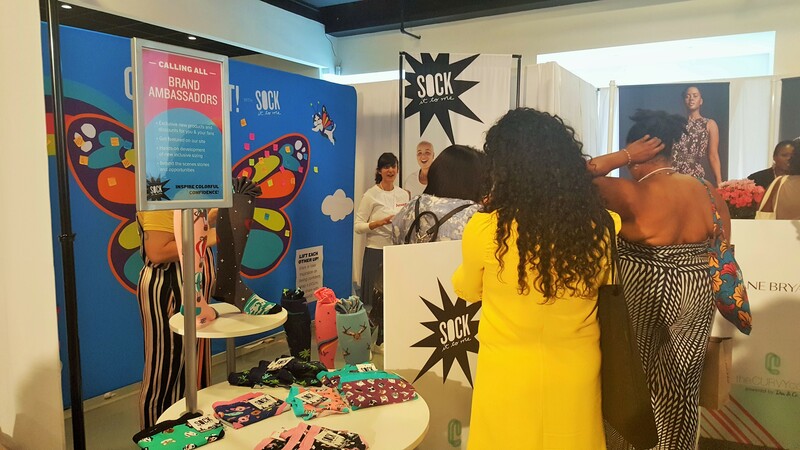 Though I should note that this being my third CURVYcon I couldn’t help but notice that there still really isn’t much for those of us that like edgier alternative styles at this event. What can I say? My style is eclectic, and I do love having a wide range of options in my closet. I guess I’ll just have to keep my fingers crossed that we will finally see some more style diversity next year. 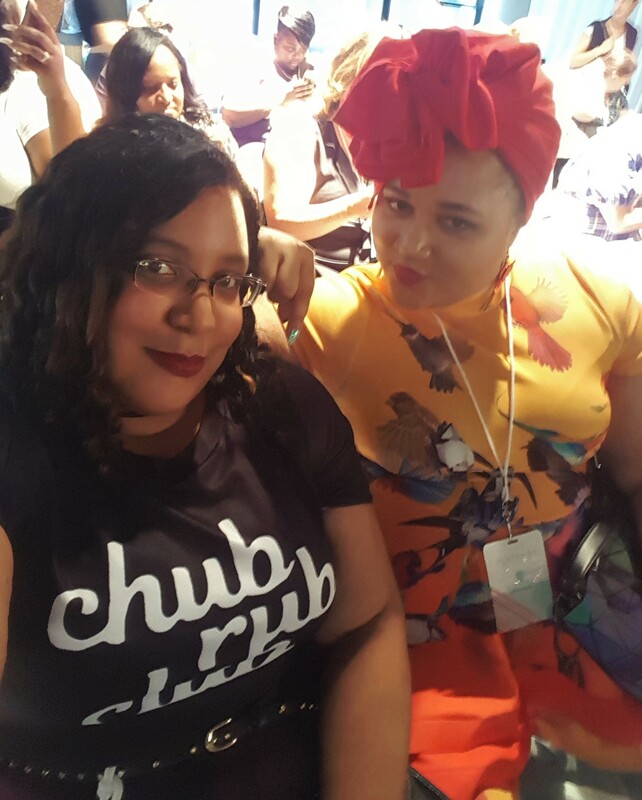 What do you think about theCURVYcon this year? Will you be joining in next year?